The subcompact segment is rife with some stiff competition, and the stiffest of the lot might just be the recently redesigned and reimagined Mazda3. Available as both a hatch and sedan, the Mazda3 is a versatile, efficient, and dynamic car, and there’s a reason it’s been one of Canada’s best-selling models for a few years. Perhaps one of the most appealing aspects of the 2015 Mazda3 is its versatile engine and transmission set-up. With two available SKYACTIV engines along with three SKYACTIV transmissions, the Mazda3 has been mastered to provide fuel economy and thrills behind the wheel. In the Mazda3 GX and GS you’ll find a 2.0L 4-cylinder mill that produces 155 horsepower and 150 lb-ft of torque. 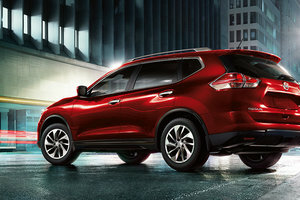 Transmission choices in the GX and GS reside in a SKYACTIV 6-speed manual and SKYACTIV 6-speed automatic. Move up to the top-trim Mazda3 GT and you’ll find a 2.5L 4-cylinder lurking beneath the newly sculpted hood that pushes out 184 horsepower and 185 lb-ft of torque. There’s no manual transmission available for the GT; however, there is a SKYACTIV 6-speed automatic with i-ELOOP technology that continually recovers kinetic energy as you use the brakes. Also, the GT features paddle shifters for the non i-ELOOP automatic. 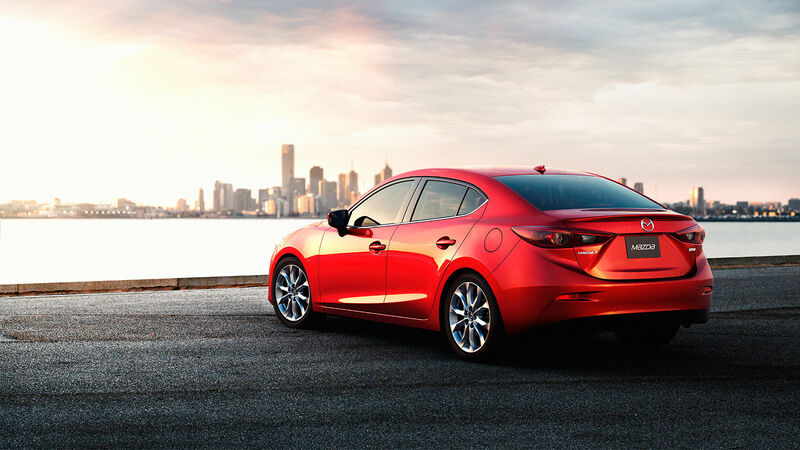 The 2015 Mazda3 is nothing short of gorgeous. Mazda’s KODO design flows effortlessly from nose to tail on both the hatch and sedan. An elongated nose, and close-dropped rear give the Mazda3 a race-inspired look that keeps it athletic and commanding on the road. Inside, the upgrades are evident as well. Brand new for this third generation Mazda3 is the integration of the HMI Commander Switch, located just below the shifter, which controls the infotainment system that’s housed on a newly designed dash-dwelling 7” colour touchscreen that seemingly floats above the HVAC vents. All in all, it’s a futuristic place to be when seated behind the wheel of the 2015 Mazda3, and feels leagues above the sticker price in the window. Along with a host of gadgets like Bluetooth, satellite, and HD radio, the 2015 Mazda3 also features a host of passive and active safety features like available blind spot monitoring, lane departure warning, and smart city brake support. But perhaps what truly sets the Mazda3 apart is just how fun to drive it actually is. If you want to enjoy your morning commute, you have to give Mazda’s nimble sedan or hatch a try. When driving down a long winding road, the Mazda3 is particularly pleasant to drive and quite agile as well. 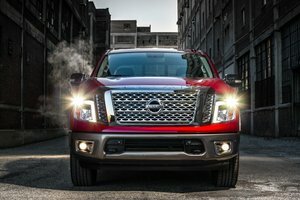 No question, it’s the vehicle you have been dreaming of. 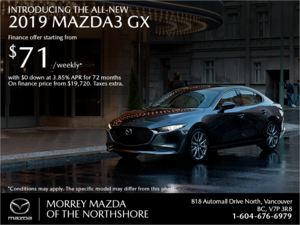 To explore the 2015 Mazda3 further, head down to our showroom at Morrey Mazda of the Northshore and book yourself a test drive today.